WHEELS: The 29er Enduro wheelset weighs 1753g. Reynold’s MR5 carbon fiber features unique carbon lay-ups in 5 critical regions, offering tensile strength, stiffness, and elongation. RIMS: The 29mm deep rims are asymmetric, allowing for more even spoke tension for a more durable and predictable ride. CHANNELS: The 28mm hookless, tubeless-ready rim channels provide additional air volume for superior ride quality and traction. Their external width is 34mm. The 29 Enduro is the wheelset for aggressive riders who demand efficiency. Our uneven carbon rim evens out spoke tension for a harder and predictable ride. The 28mm internal rim width supplies very good tire have compatibility and offers further air volume for superior ride high quality and traction. Add the Business 9 middle lock premium hub with 3-degree engagement to make these the primary selection in massive wheel, massive mountain efficiency. 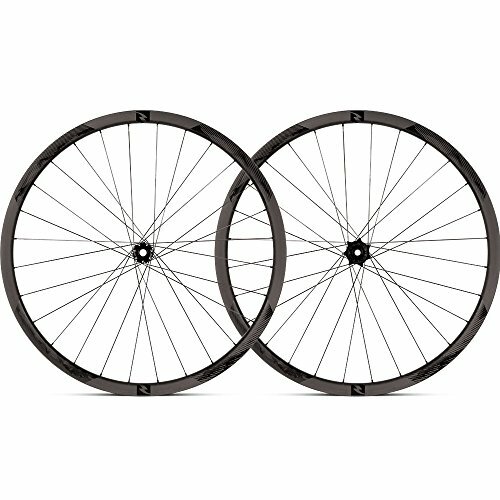 WHEELS: The 29er Enduro wheelset weighs 1753g. Reynold’s MR5 carbon fiber options distinctive carbon lay-united statesin 5 important regions, providing tensile strength, stiffness, and elongation. RIMS: The 29mm deep rims are uneven, taking into consideration more even spoke tension for a harder and predictable ride. CHANNELS: The 28mm hookless, tubeless-able rim channels supply further air volume for superior ride high quality and traction. Their external width is 34mm. HUBS: The brand new middle lock premium hubs from Business 9 supply 3-degree engagement to deliver power when you wish to have it such a lot. The hubs have compatibility with Shimano drivetrains. SPOKES: The entrance and rear wheels each have 28 spokes in a triple cross lacing trend. The spoke models are Sapim CX-Ray.